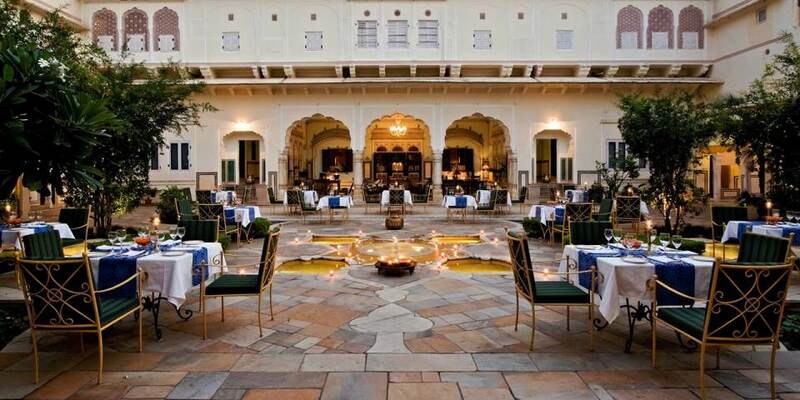 Samode Haveli in Rajasthan is steeped in history and tradition, and restored to perfection is this oasis of serenity. 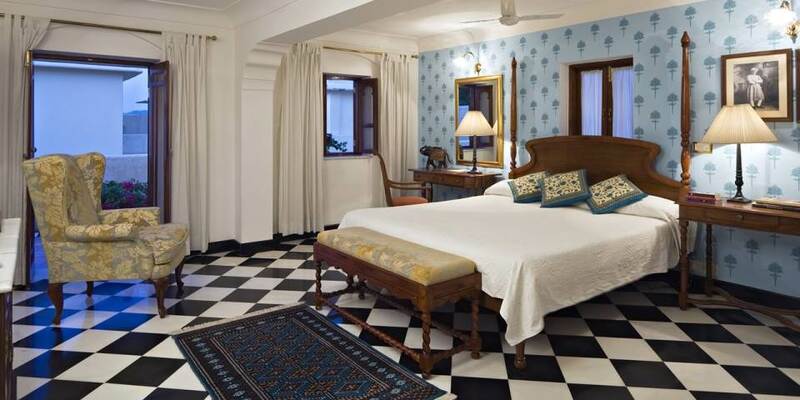 This beautiful heritage hotel, a 175 year old Haveli that was once a nobleman’s abode is tucked away, hidden deep in the old streets in the heart of the walled pink city of Jaipur. Just 30 minutes from both the airport and the station it is easily accessible by air, rail and road. 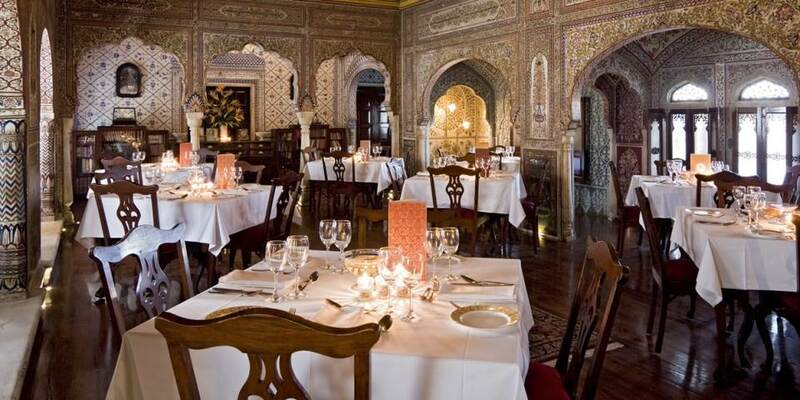 Eating at Samode Haveli is an extraordinary experience with the former dining hall, totally bedecked with colourful hand painted murals, now serving as the restaurant. Gourmets will delight in the delicious dishes which are prepared using the freshest of ingredients with guests offered a choice of traditional Rajasthani fare or international cuisine, together with an amazing choice of wines. 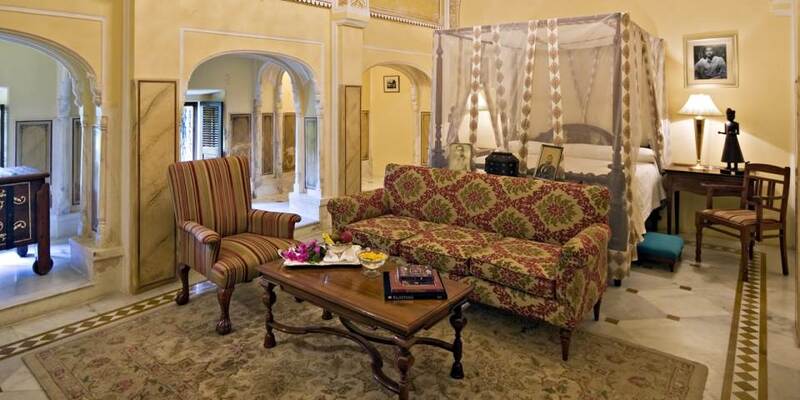 Samode Haveli could not be in a better location from which to explore the treasures of Jaipur. The amazing City Palace, home to the rulers of Jaipur, the Hawa Mahal or Palace of Winds, now an icon for the city, or the Jantar Mantar the best preserved observatory built by Sawai Jai Singh ll. Wander through the labyrinth of colourful bazaars, perhaps see some of the exquisite enamel and gem work skilfully created by the famed jewellers of Jaipur. Head back to Samode Haveli and relax on traditional Indian day beds in the Moorish style pavilions around the pool, take a leisurely swim in the cool blue waters or ease away the tiredness in the Jacuzzi. If activity is needed there is a modern fitness centre, but the best place for rejuvenation is the spa which has comfortable rooms in which to enjoy Ayurvedic massages. The former royal apartments of this delightful residence have now been transformed into 39 deluxe rooms and suites. Built all over this rambling building they reflect the rich history and culture of Samode, each is different but all are lavishly decorated. Inside sparkling white marble, tasteful colour schemes and rich mosaics, photographs, family portraits and artefacts are complemented with lavish bathrooms and every contemporary amenity. 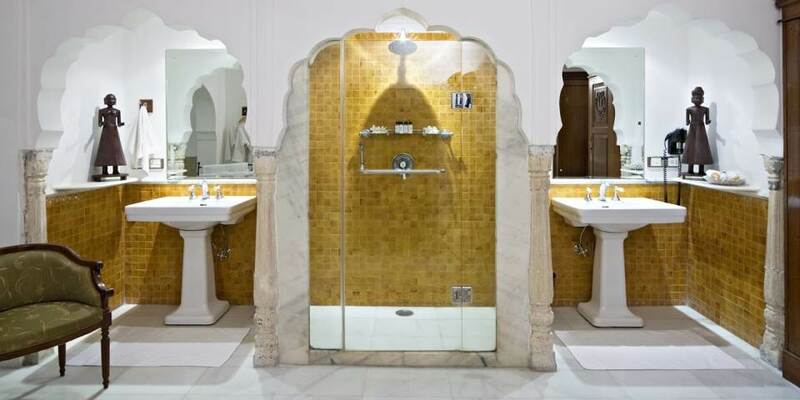 For a real sensual experience it is hard to beat the palace of mirrors or Sheesh Mahal Suite, with curved arches and walls almost entirely covered with mirror work. Balconies and courtyards look out over the gardens, fountains and pool of the Haveli.